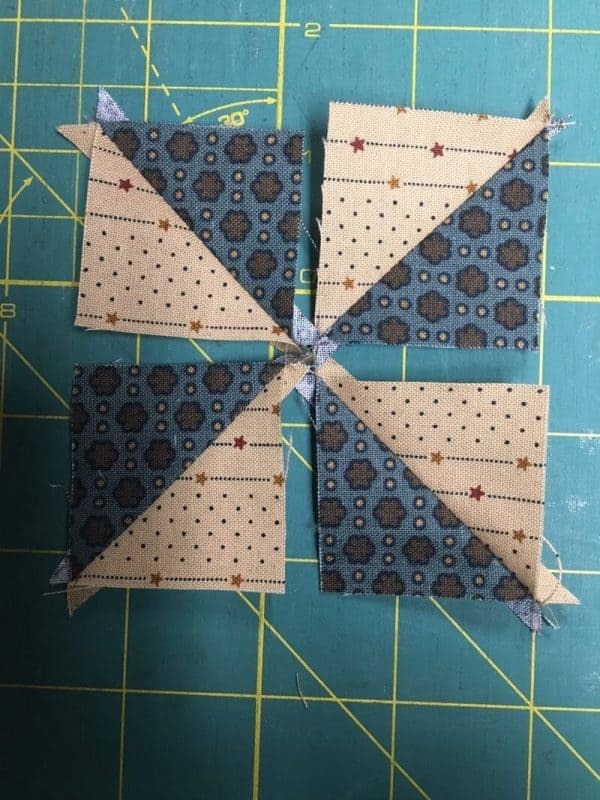 Pieced borders have many benefits. 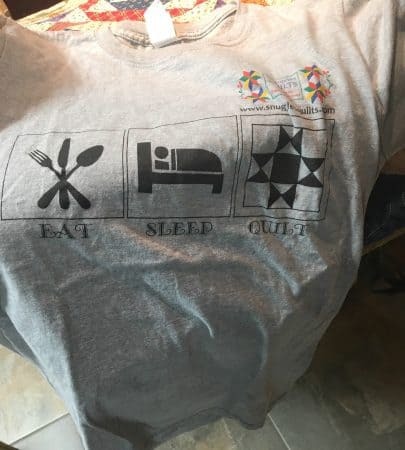 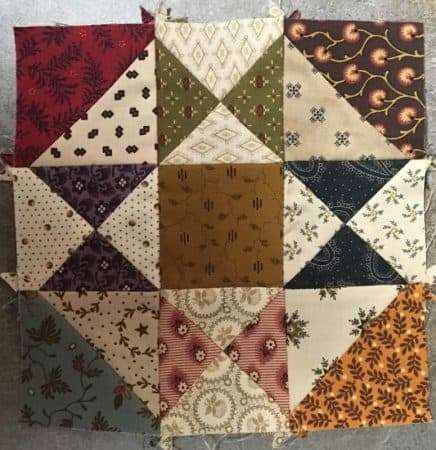 They add some “personality” to the quilt. 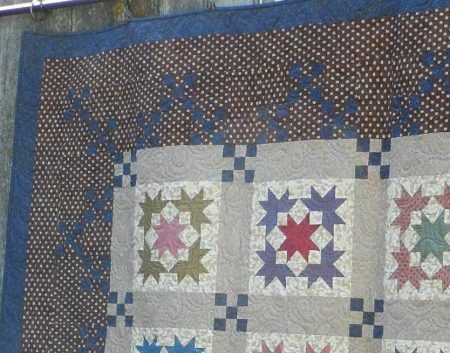 They make a quilt larger and they use up leftover fabric! 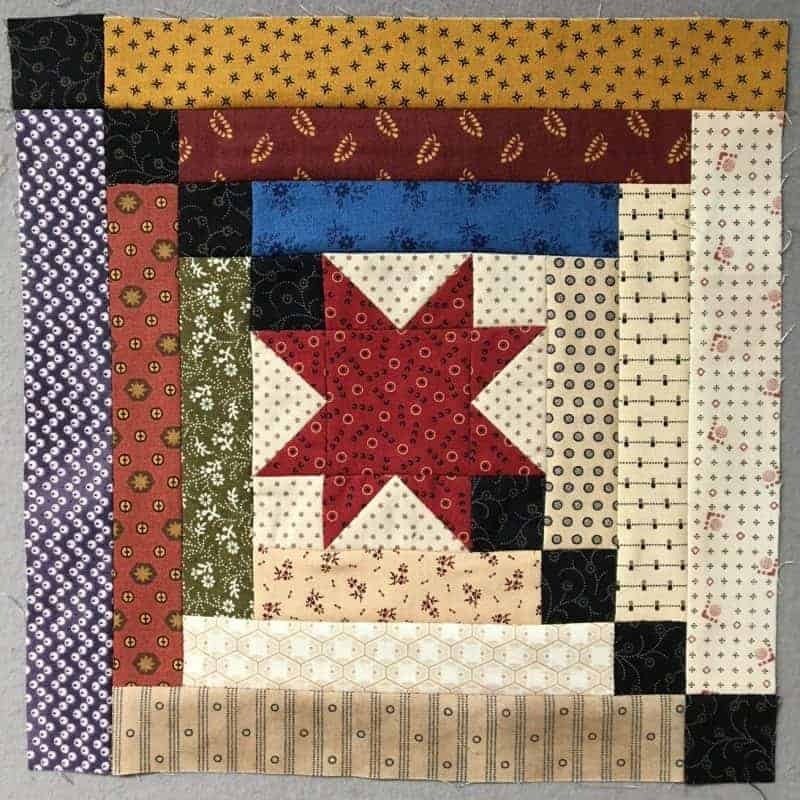 If you’ve made a quilt that you really like, but you want it to be bigger, instead of adding rows and columns, add some borders! 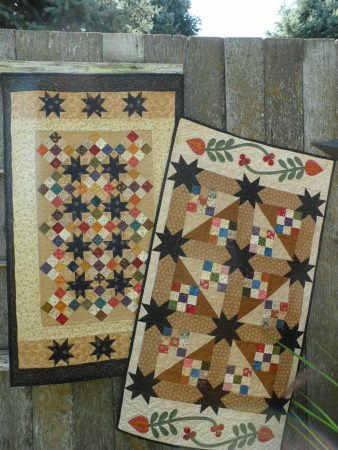 They also serve to frame the quilt also. 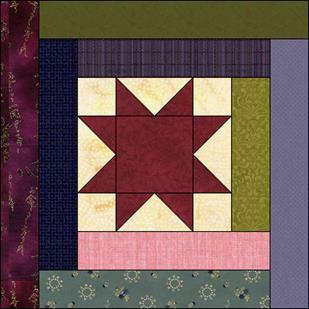 Here’s an example of a combination of borders, plain and pieced that really add some personality. 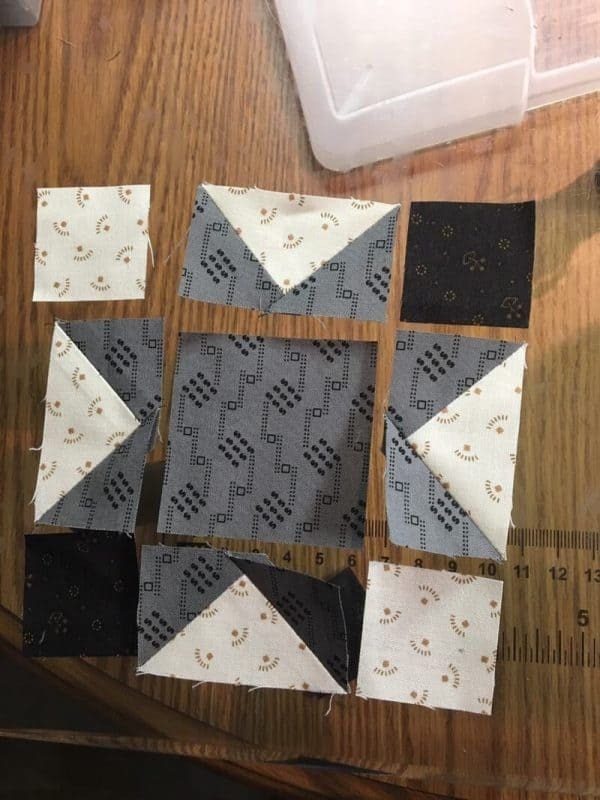 So, I added a plain black border, then used the leftover fabric from the blocks to make a piano key border. 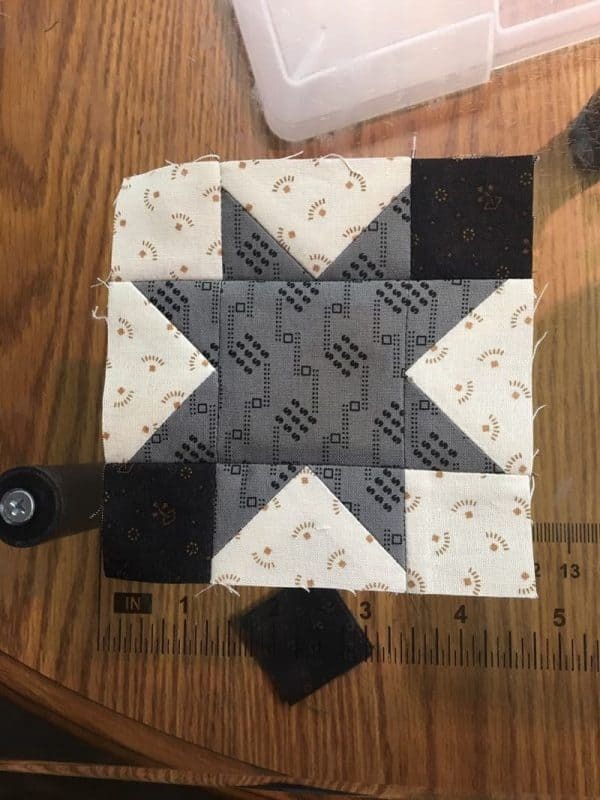 That plain black border frames the inner blocks and the scrappy pieced outer border finishes it off. 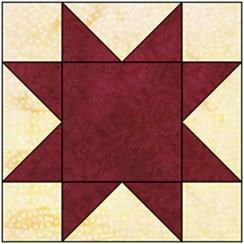 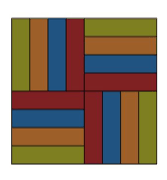 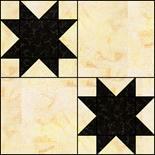 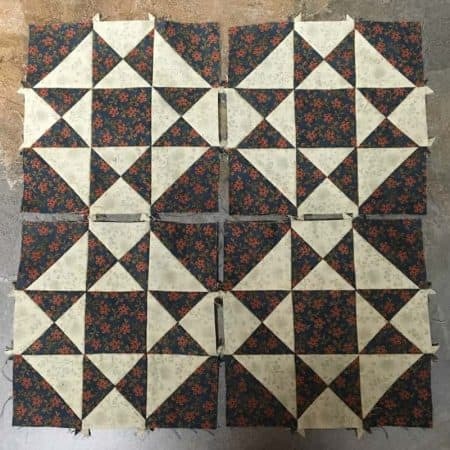 This next example has 2 different pieced borders. 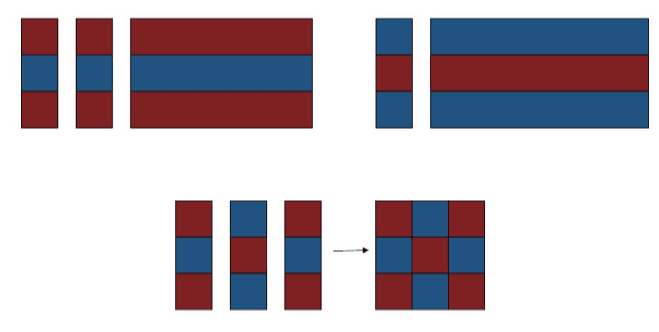 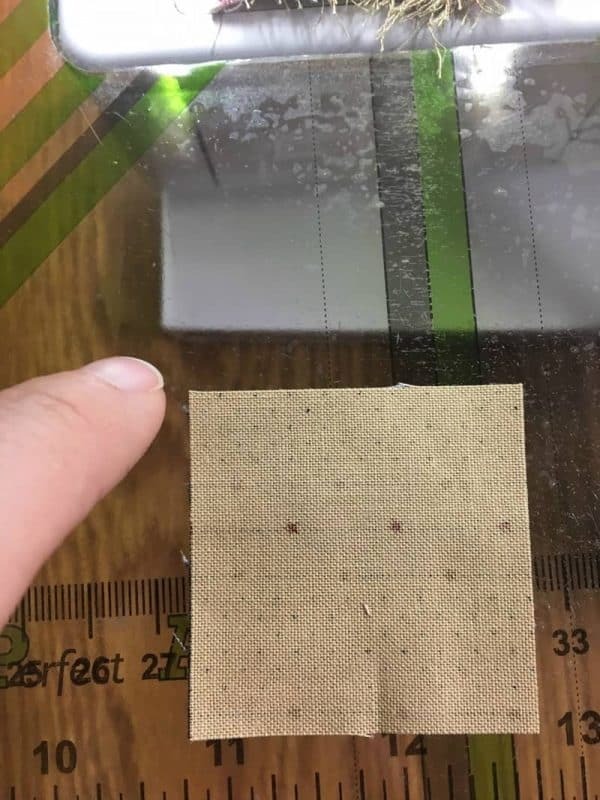 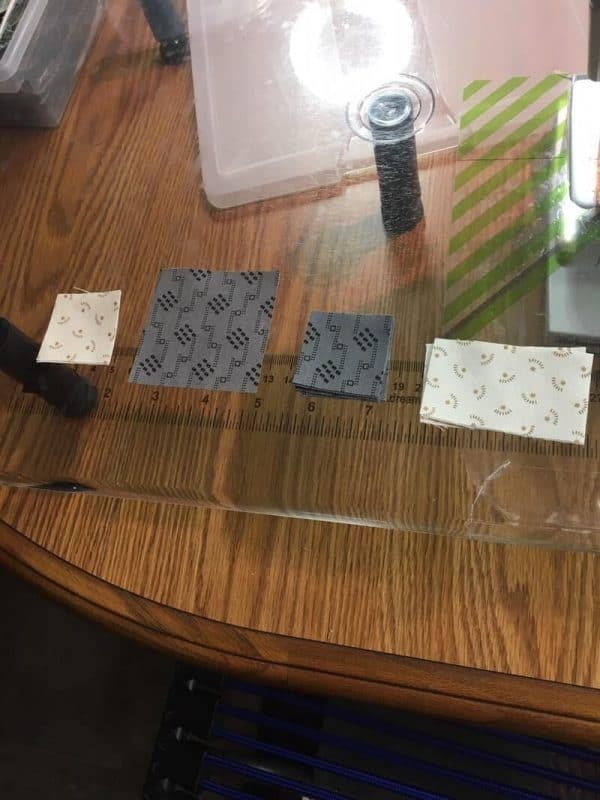 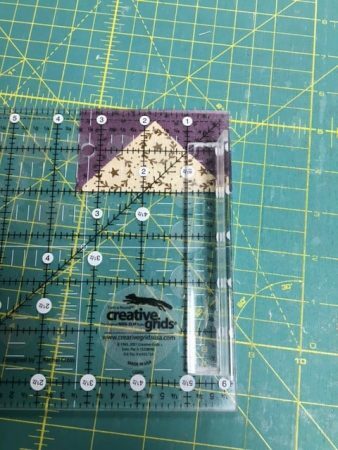 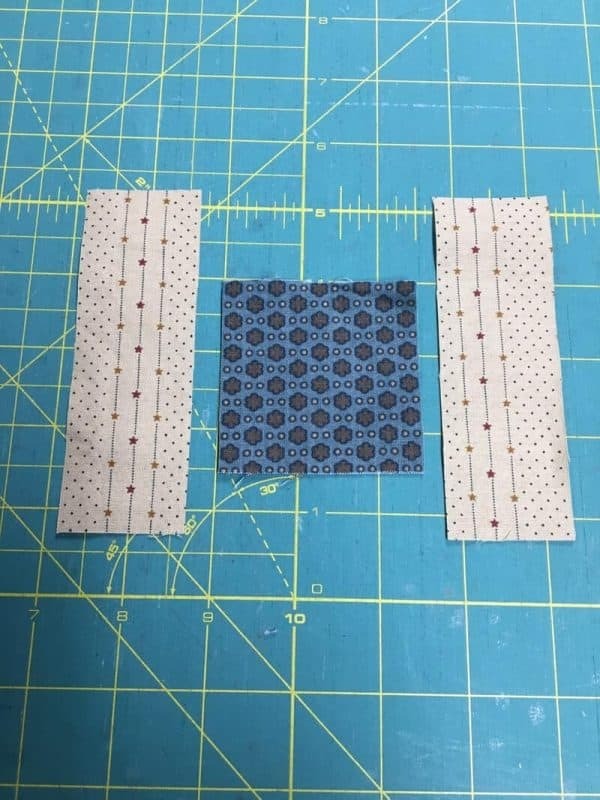 When doing this, it’s a good idea to used borders with different size pieces. 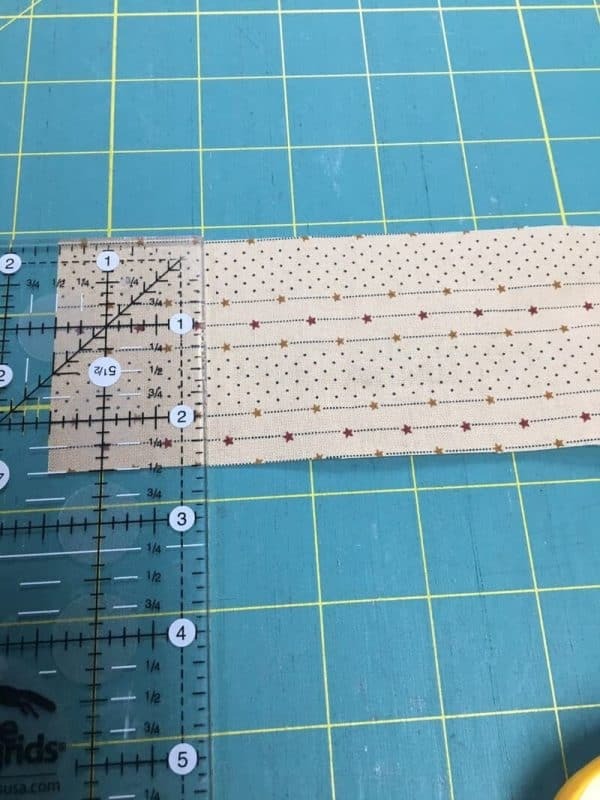 Notice the first inner border of flying geese is made up of large flying geese units. 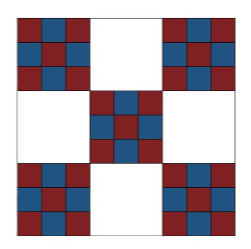 Then the outer border is a smaller checkerboard boarder. 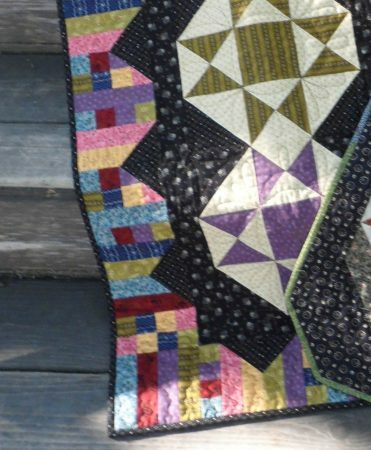 I feel like this adds a different dimensional look to the quilt. 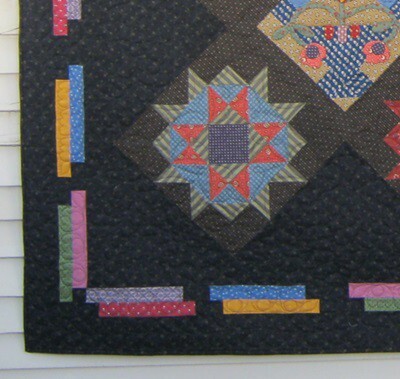 I finished this one with the plain dark border as the last border to frame the whole quilt. 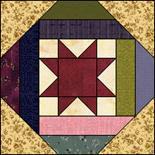 You can also pull an element out of the block in the quilt and turn that into a border. 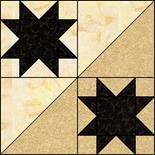 I used the outer square in a square edge of the block as the border separated by a plain tan strip. 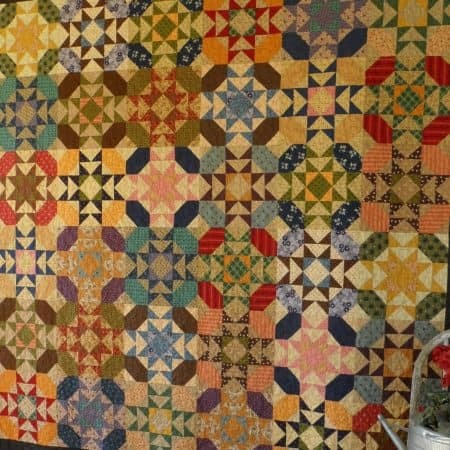 This gives the illusion that the quilt keeps going. 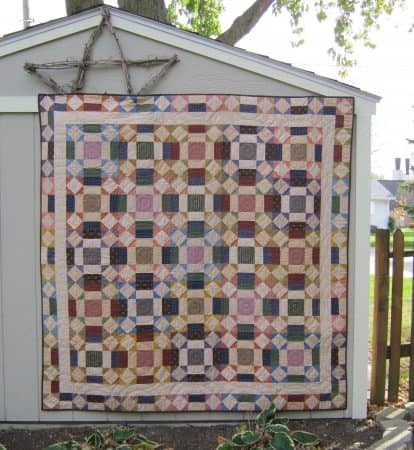 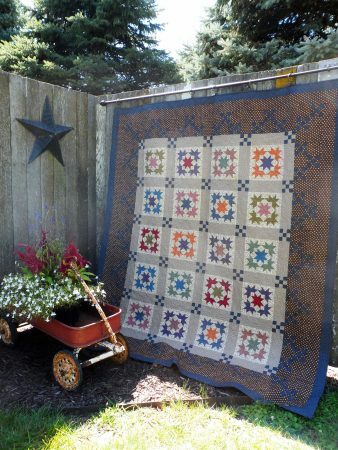 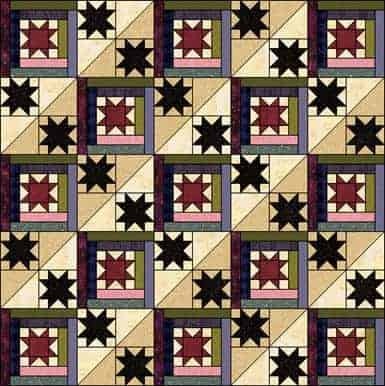 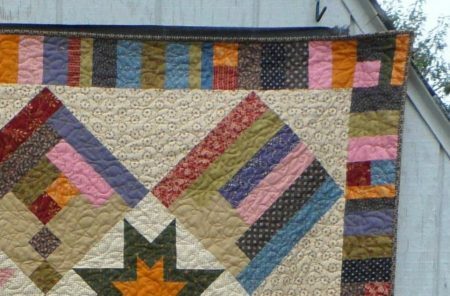 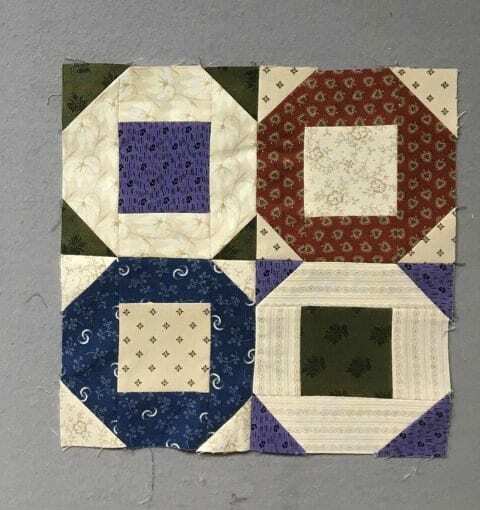 The plain border strips between the quilt blocks and the pieced border can also serve another purpose other than a “frame”. 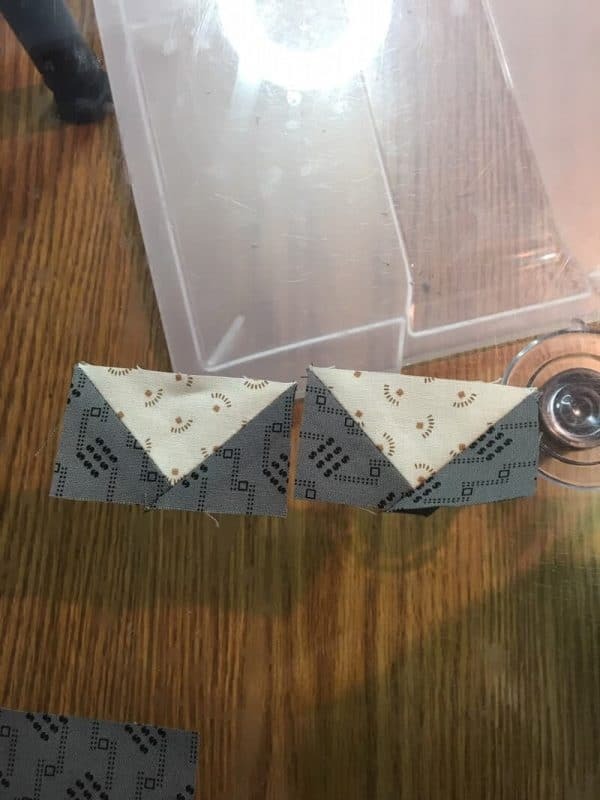 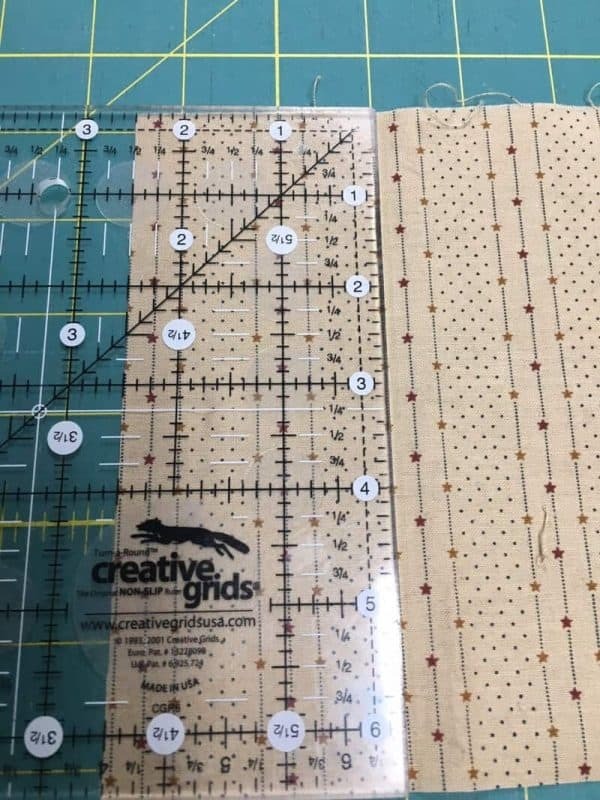 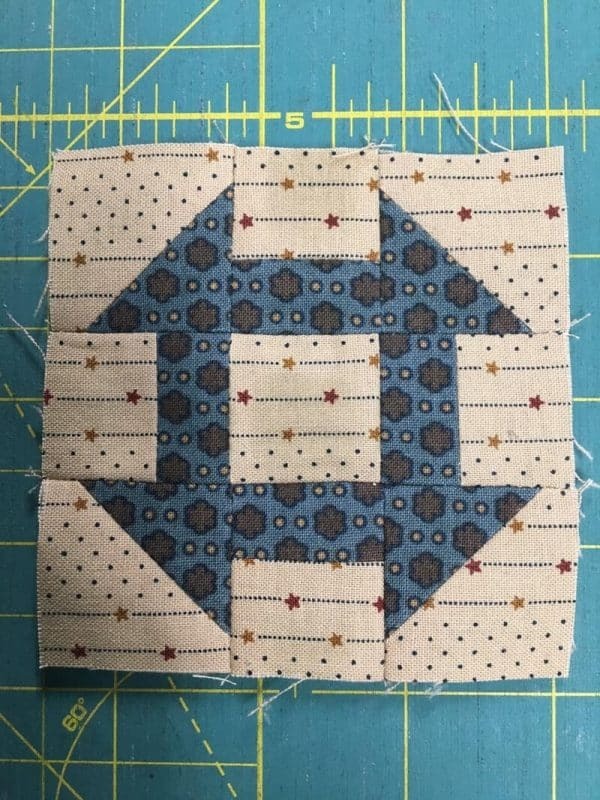 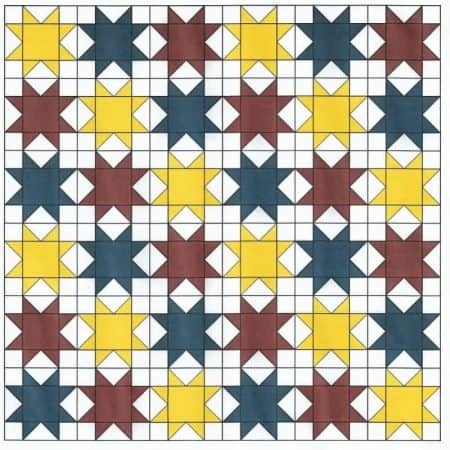 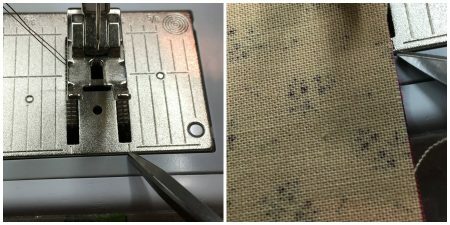 If the center of your quilt measures an odd number yet you need an even number for your pieced border to work, you can add the width of plain border in a size that will do that. 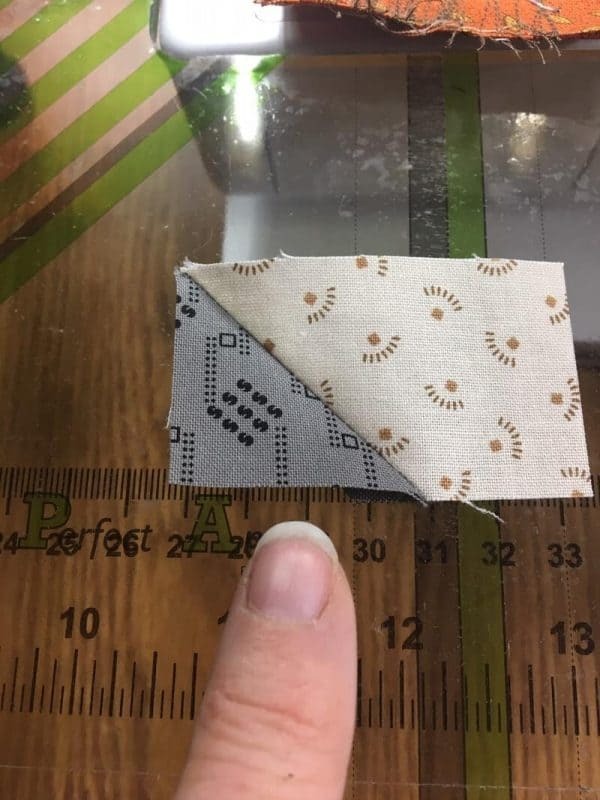 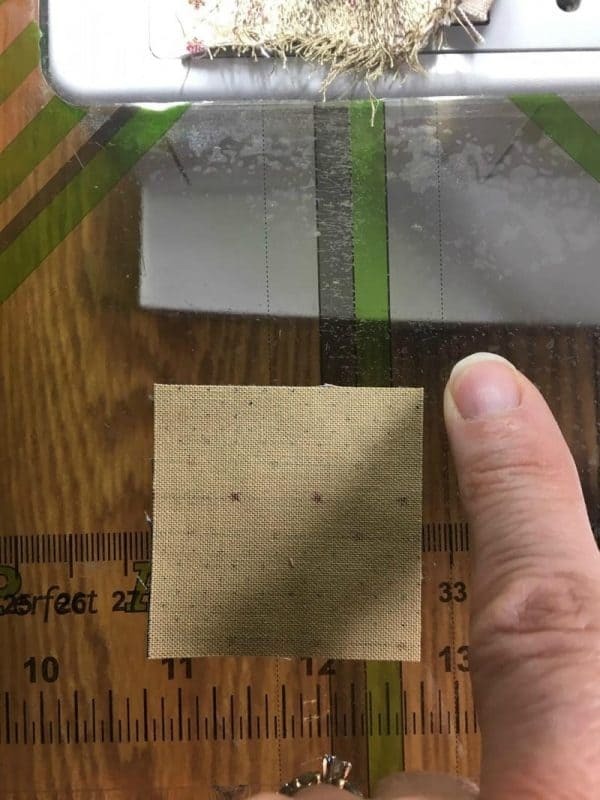 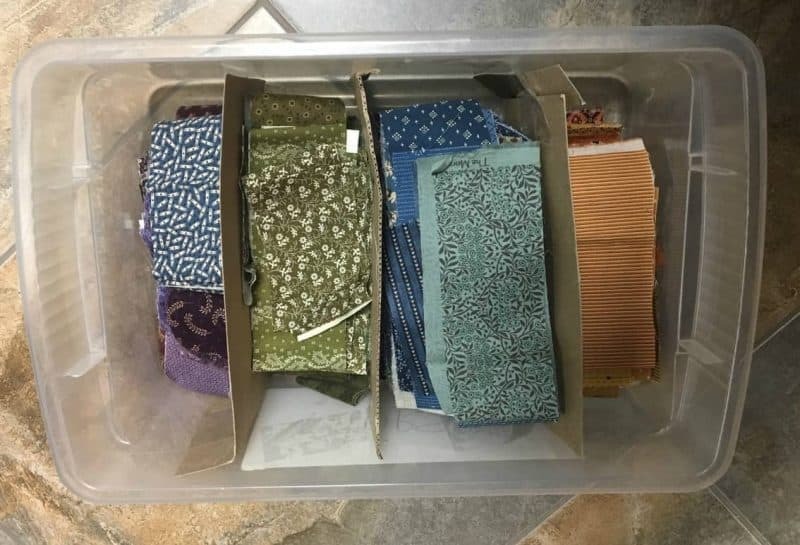 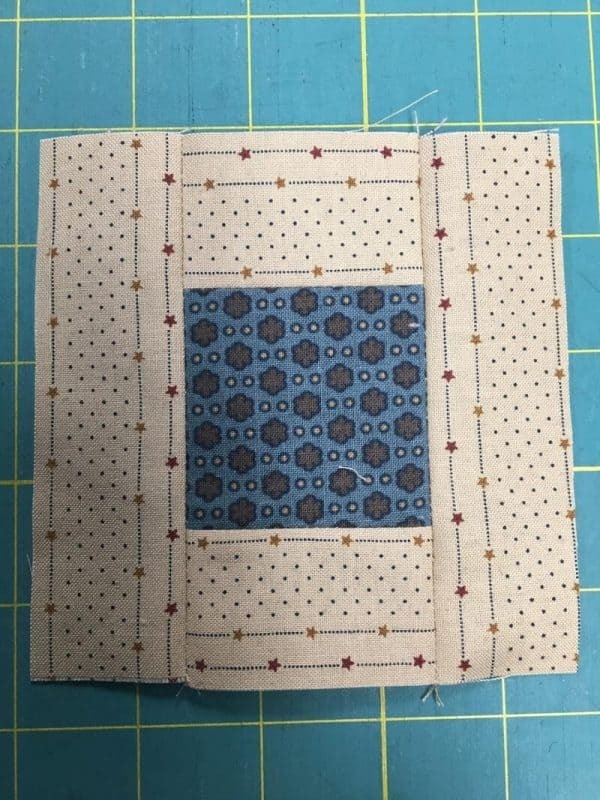 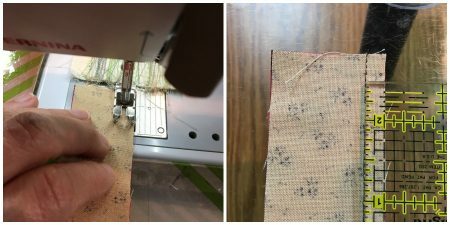 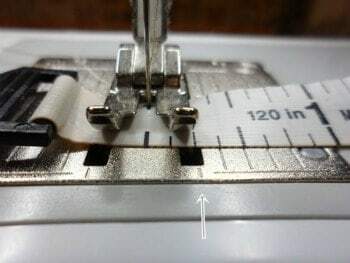 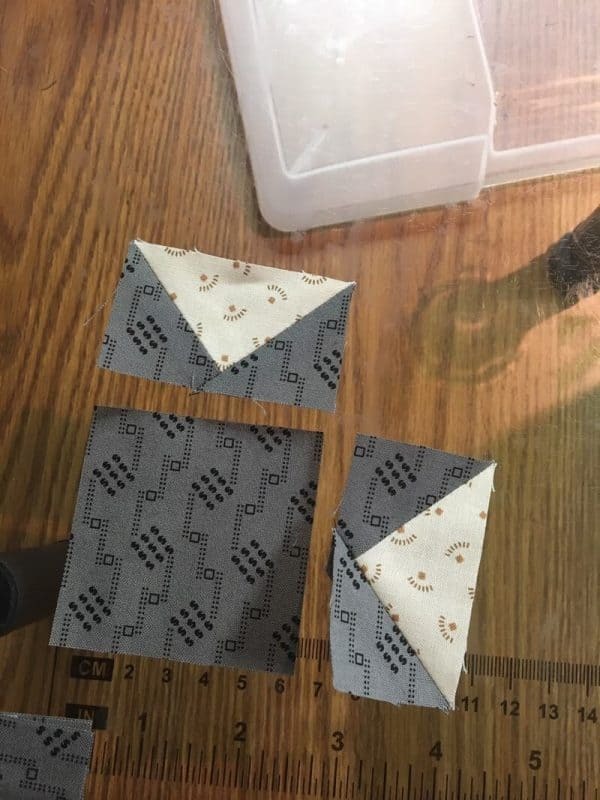 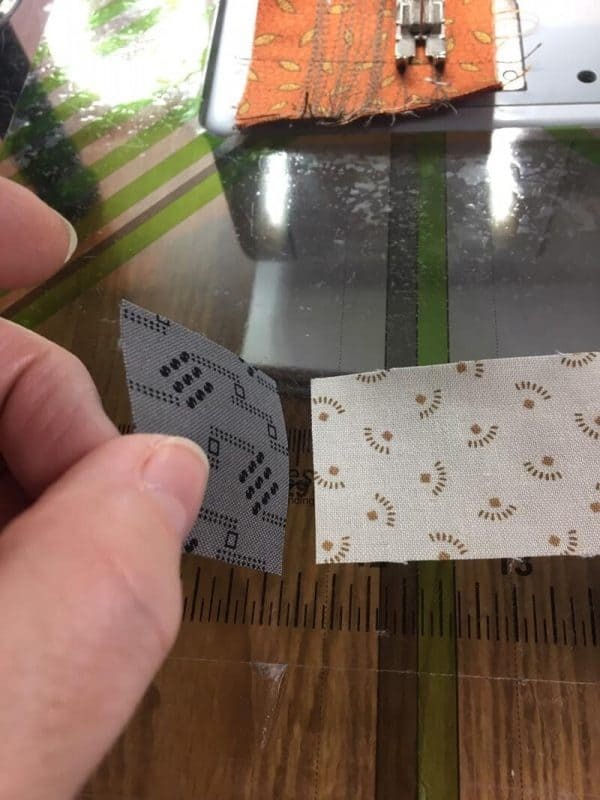 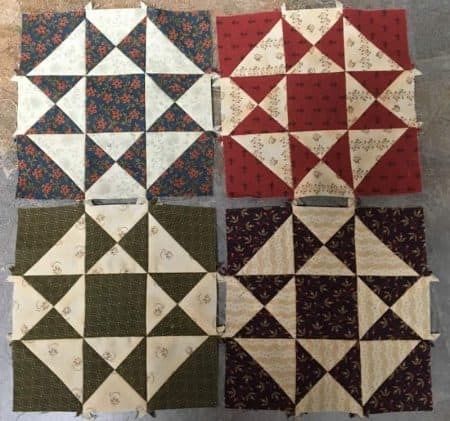 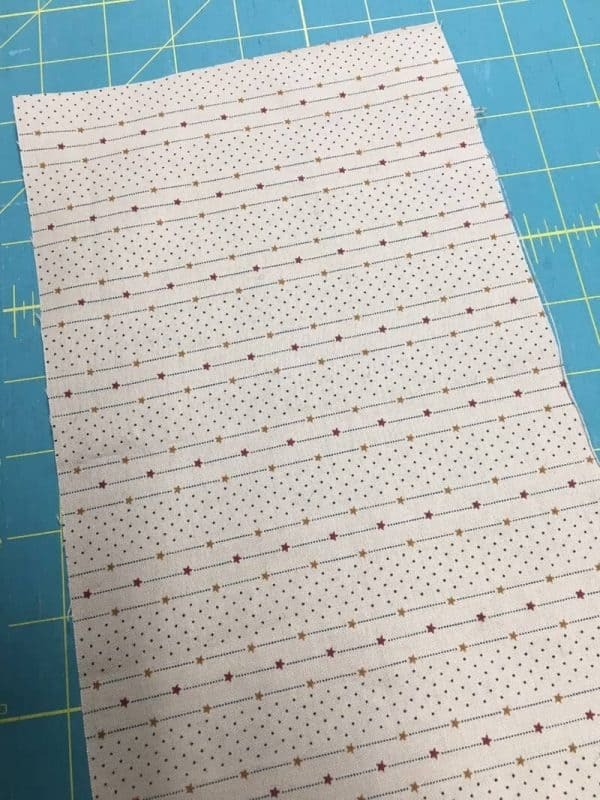 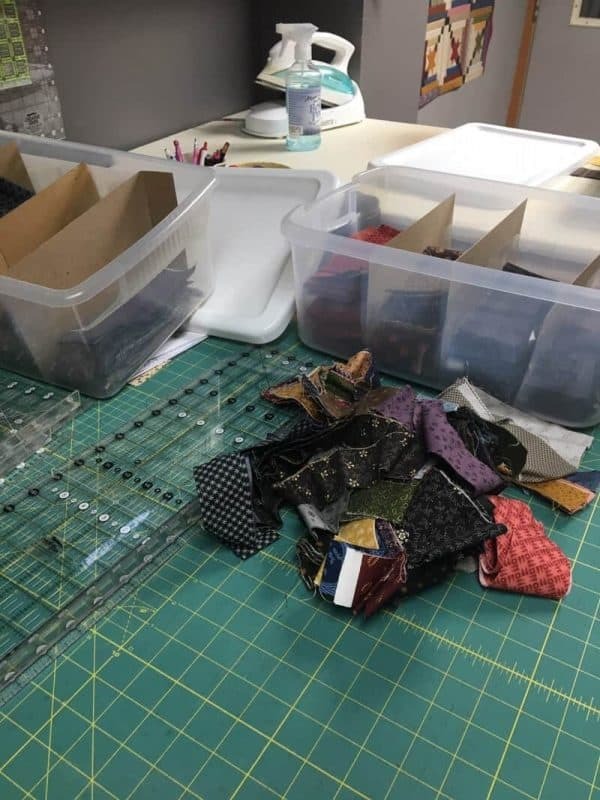 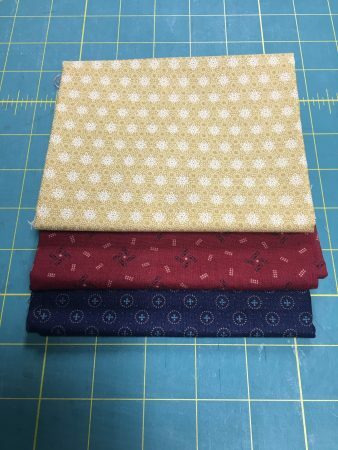 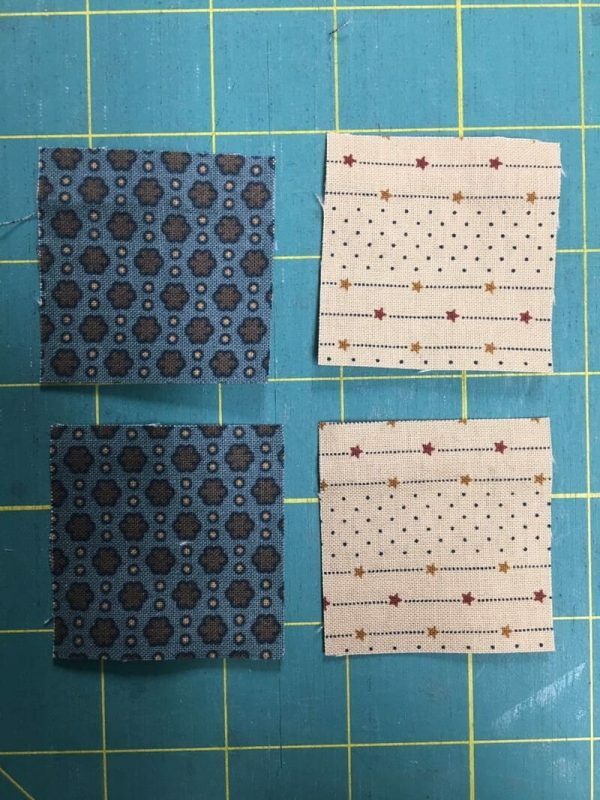 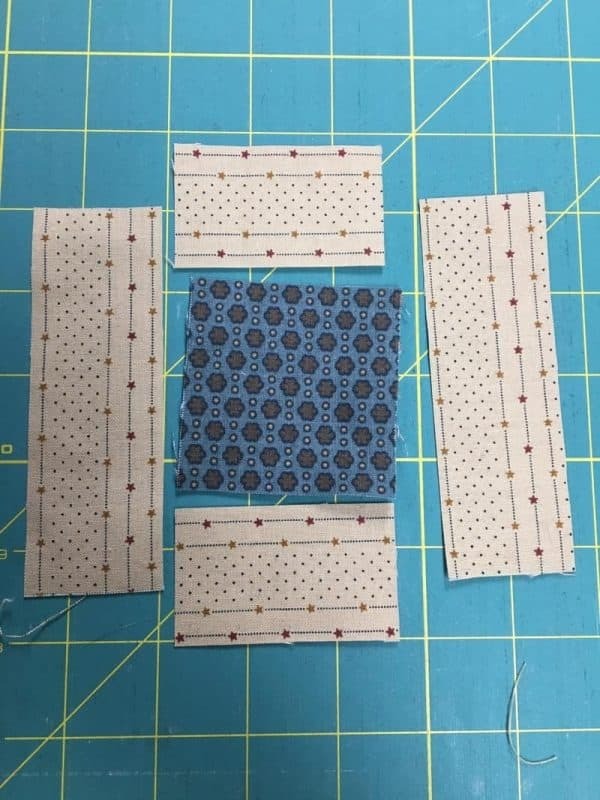 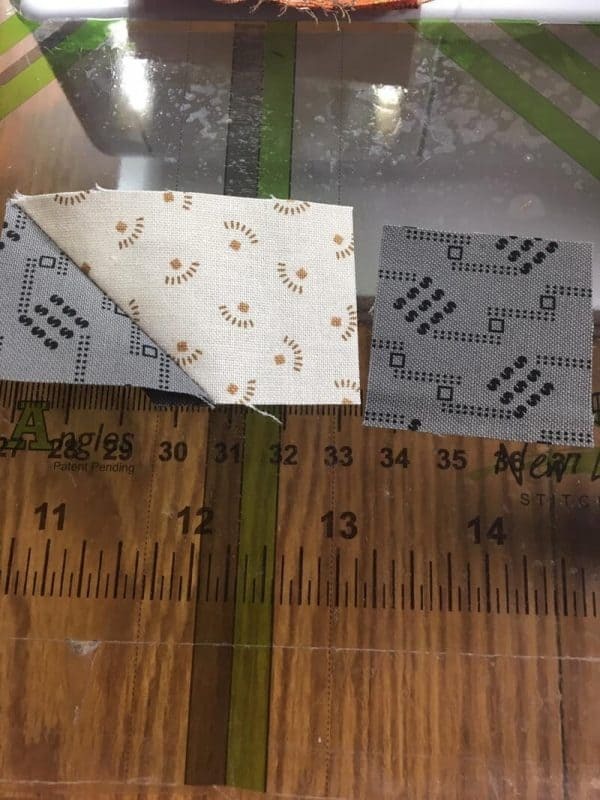 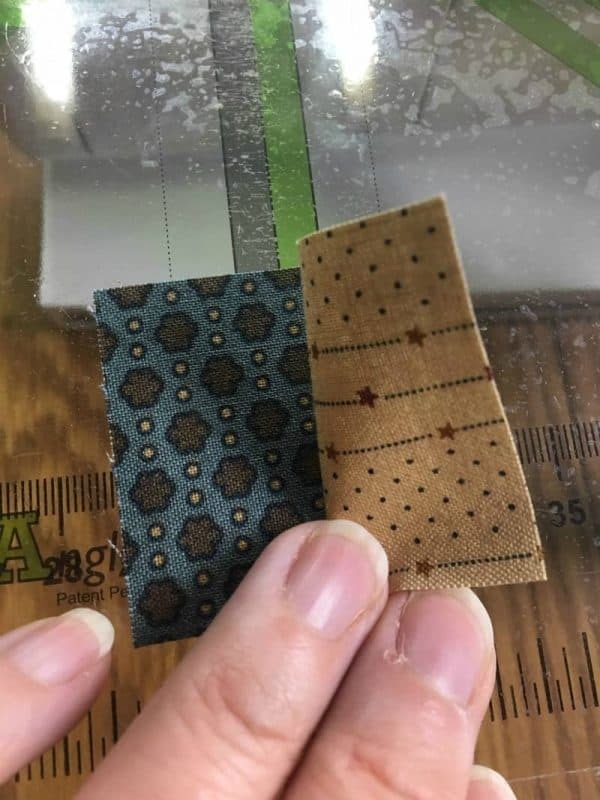 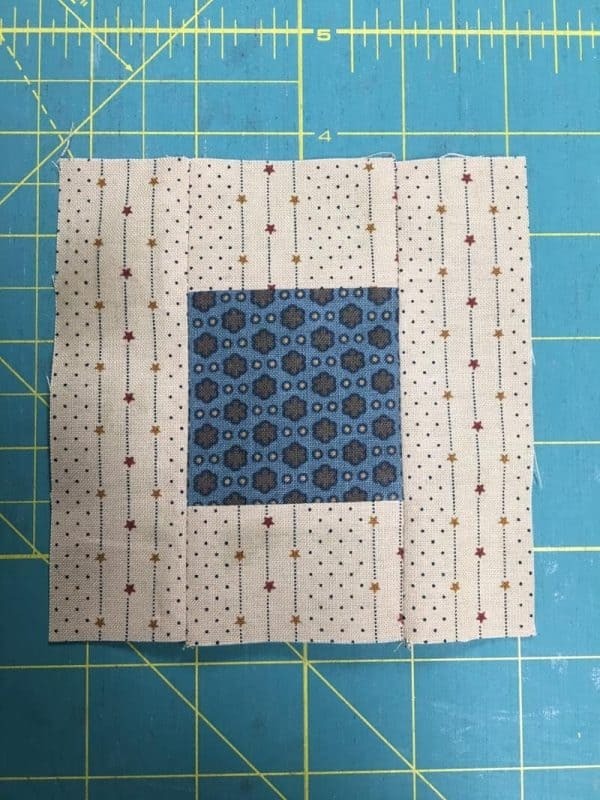 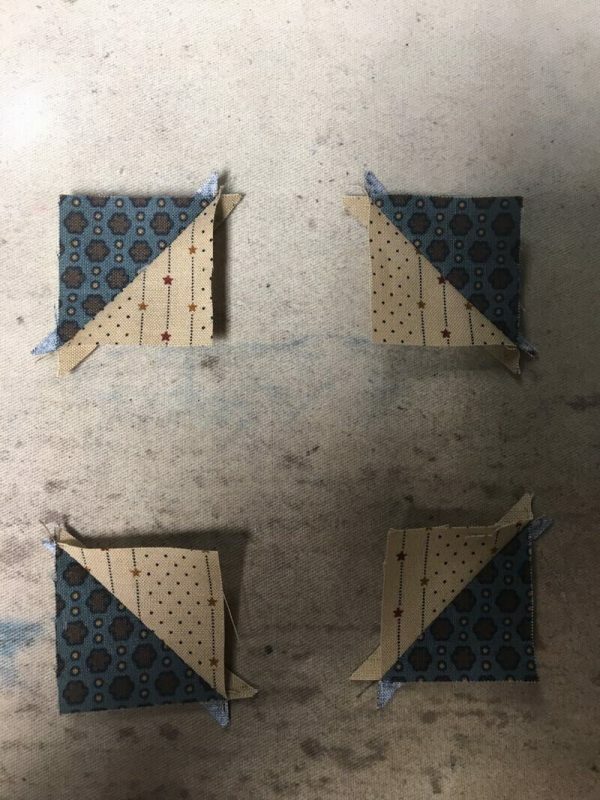 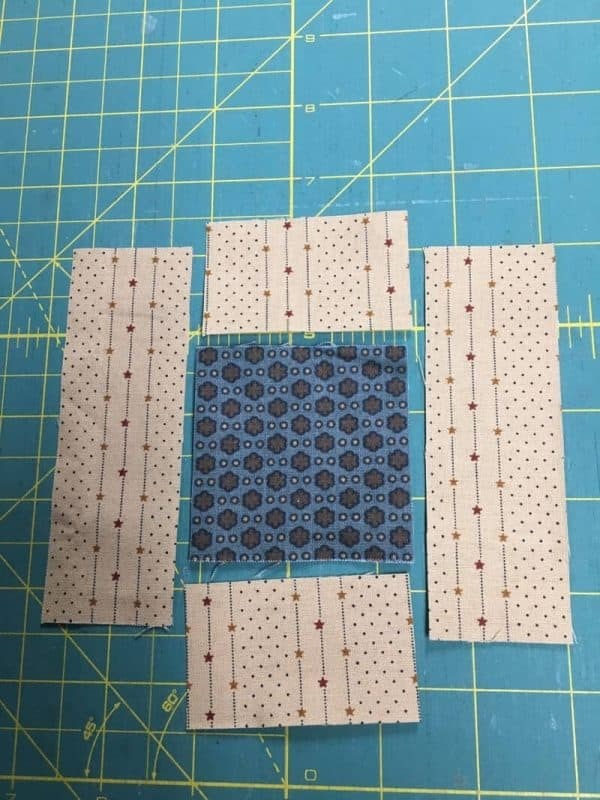 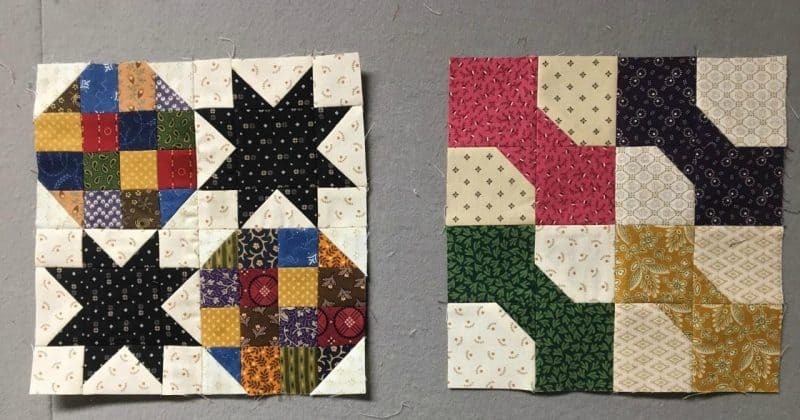 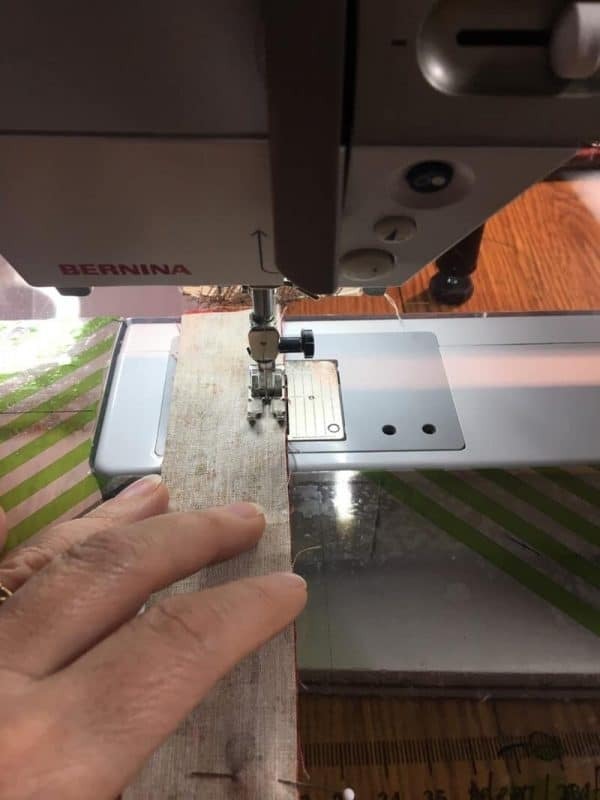 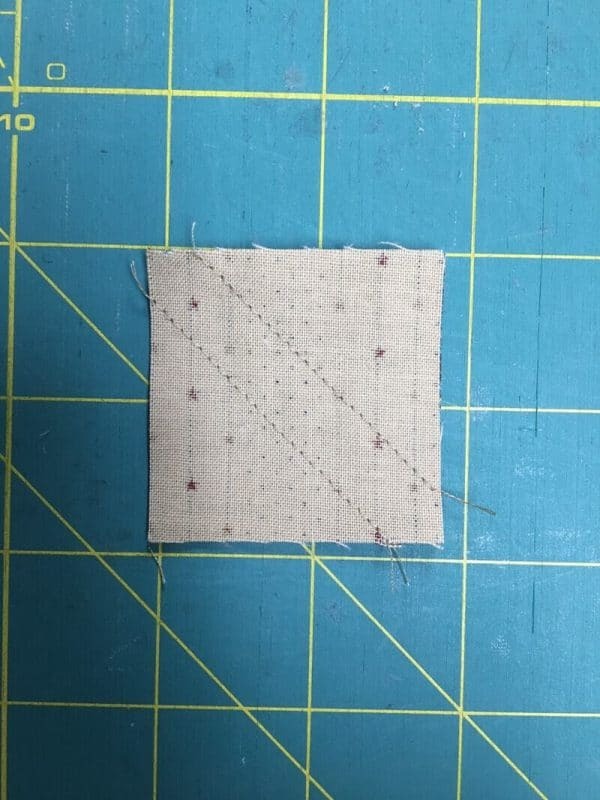 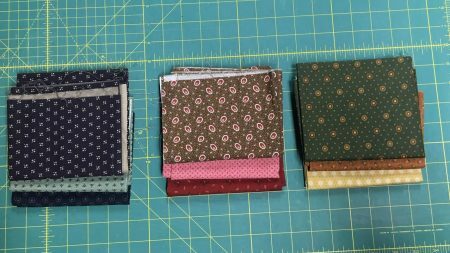 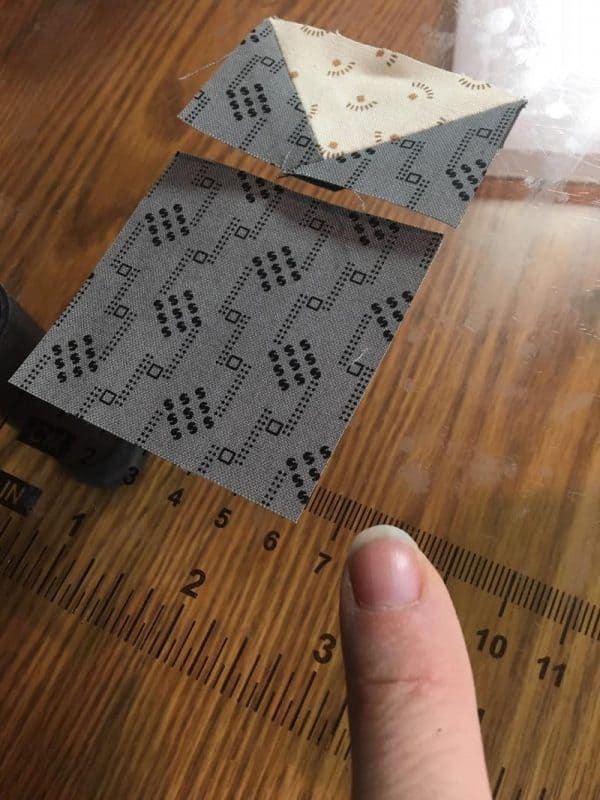 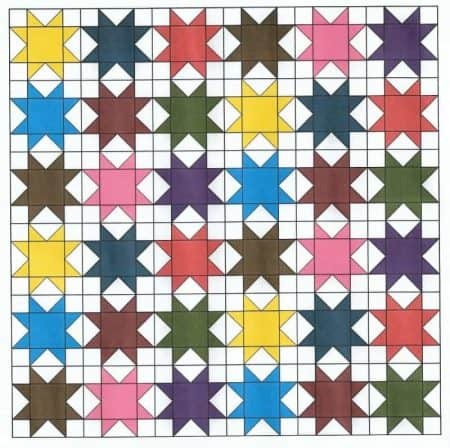 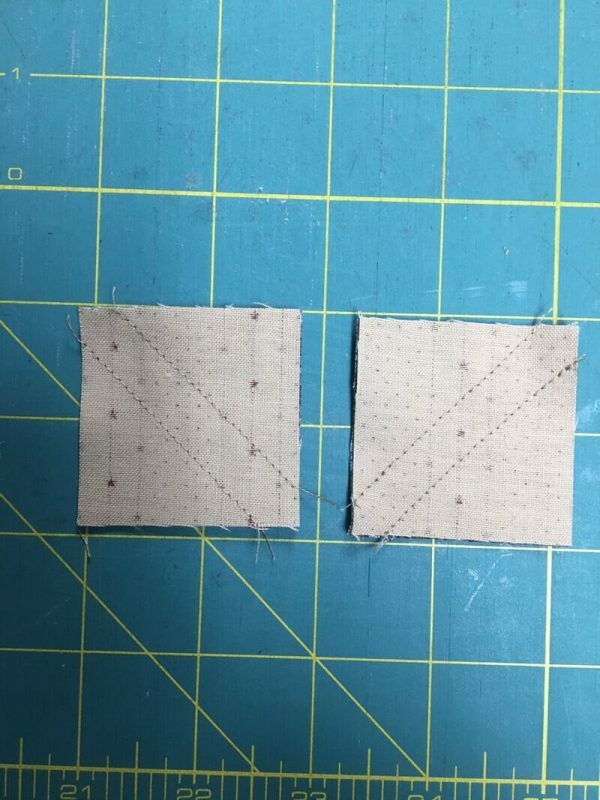 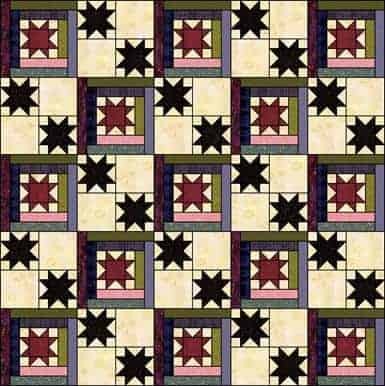 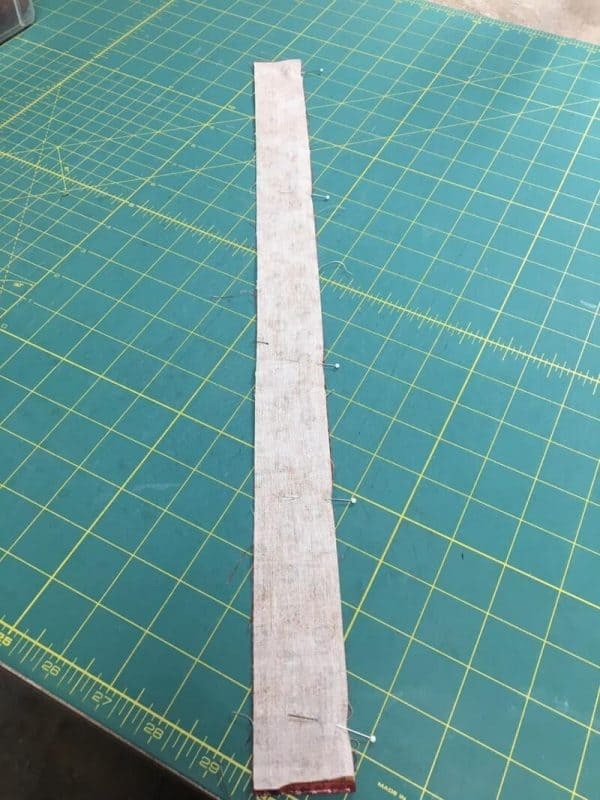 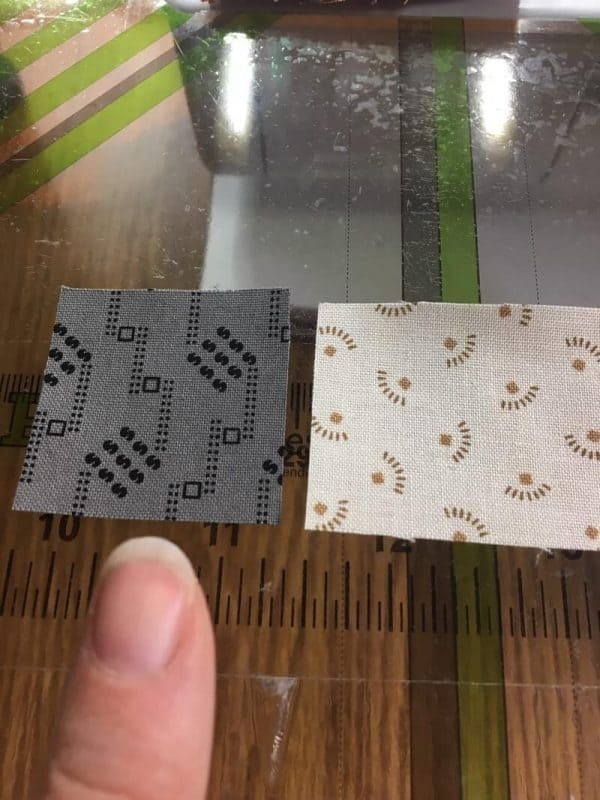 For example, if your quilt without the border measures 57 1/2″ x 57 1/2″, you can add a border with a width of 3″ to have your quilt top measure 60 1/2″ x 60 1/2″ once it’s attached. 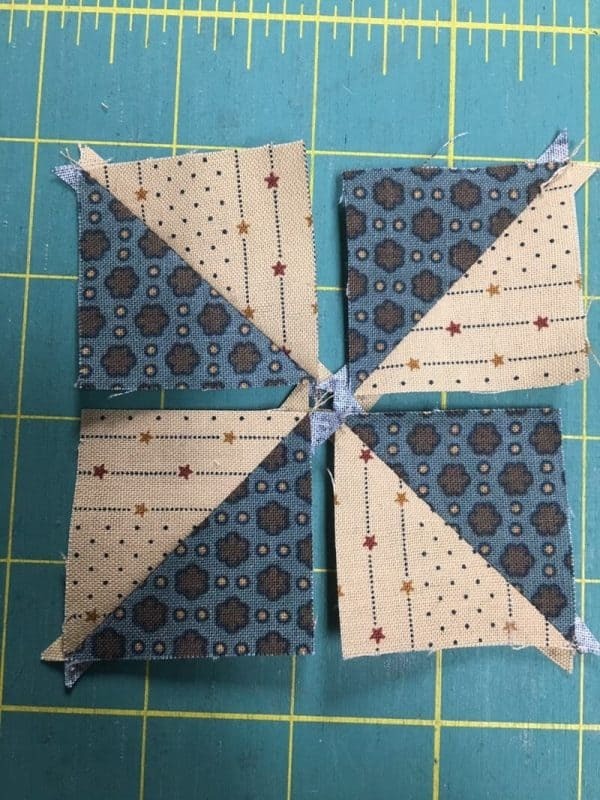 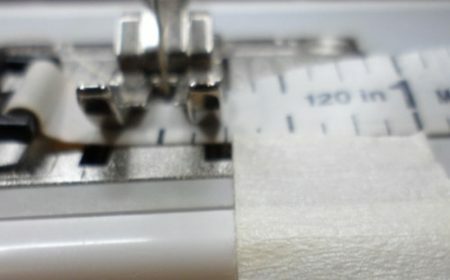 As you can see from the above photos, there are many ways you can use leftover fabric for borders. 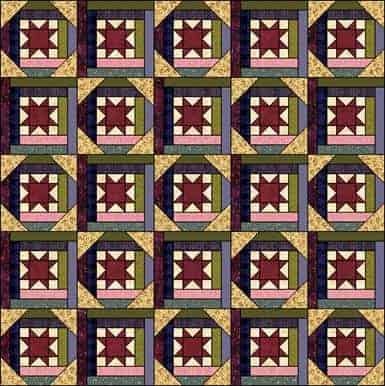 Another fun use for a border is to create a subtle secondary design to draw a viewers eyes in another direction. 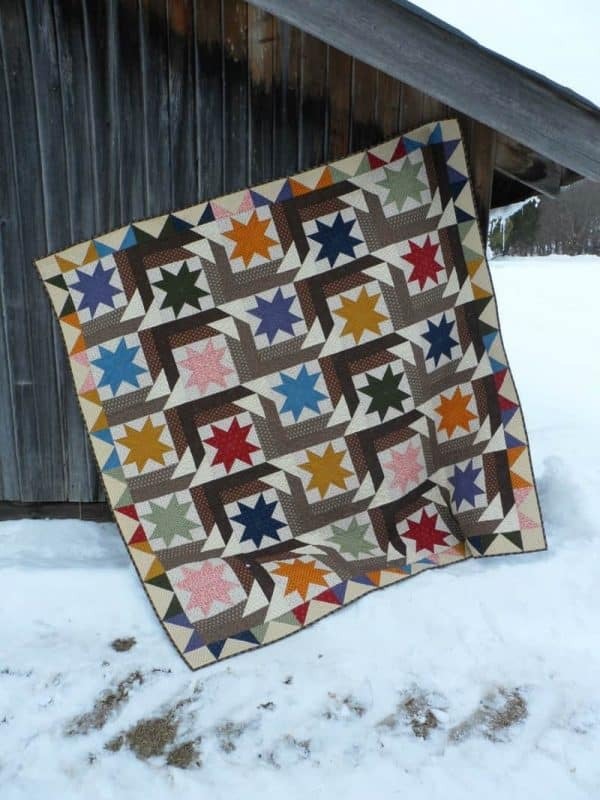 Here’s my quilt, Homestead Trail. 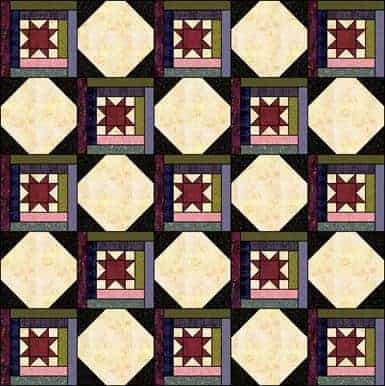 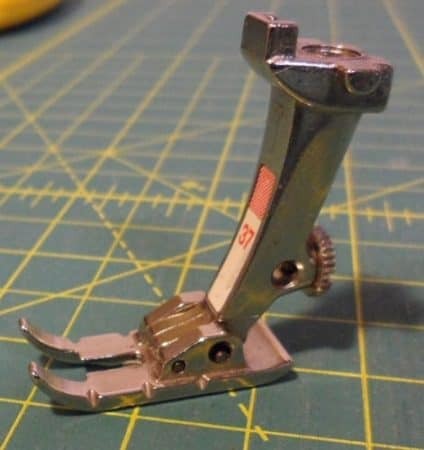 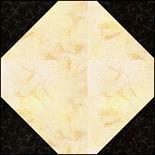 It has a simple scrappy block center with 9-patch cornerstones. 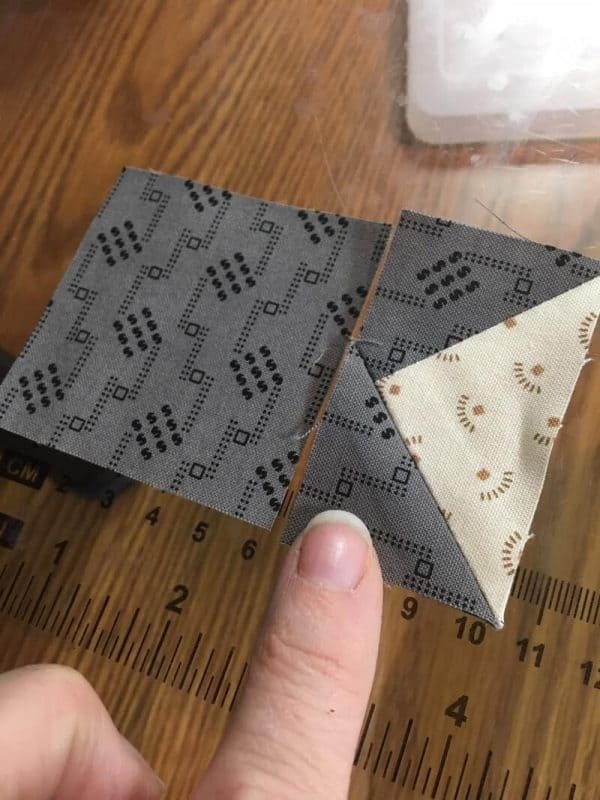 I wanted to add an interesting element, so I built off those cornerstones to make a checkerboard design. 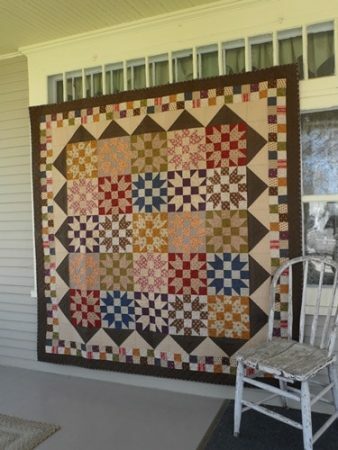 I wanted the design to be subtle so I chose colors for the plain border and the checkerboards that were close in shade. 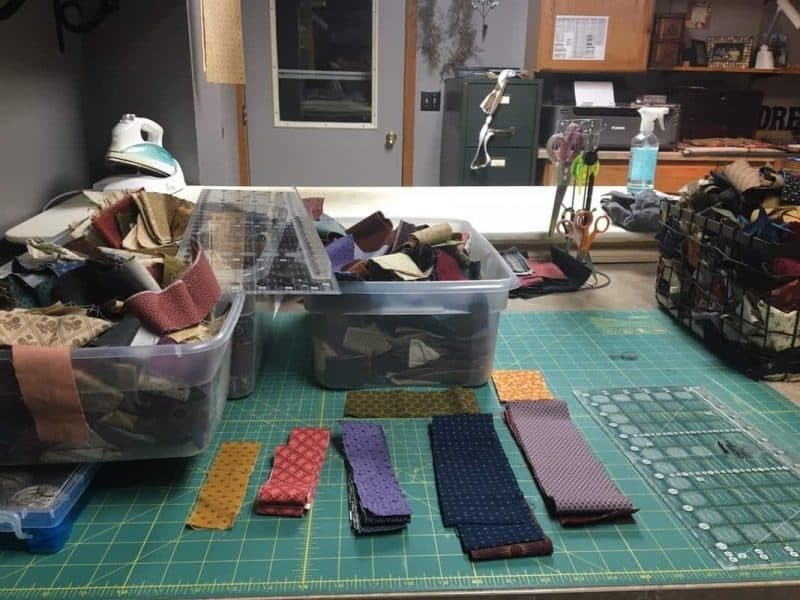 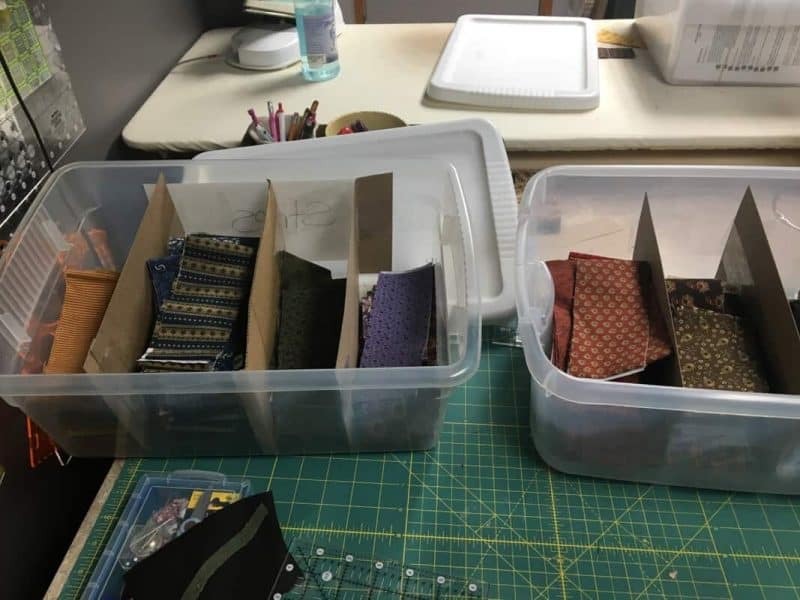 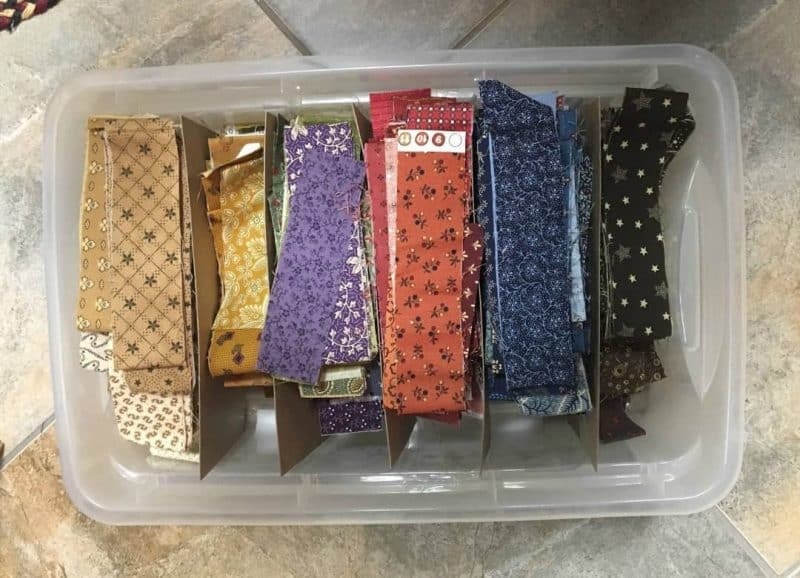 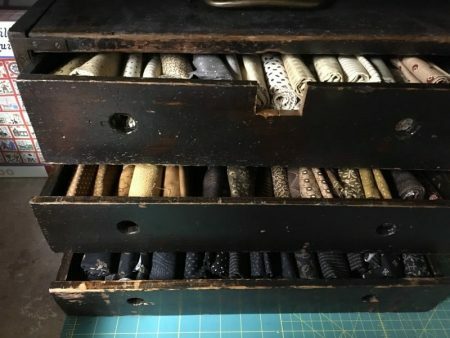 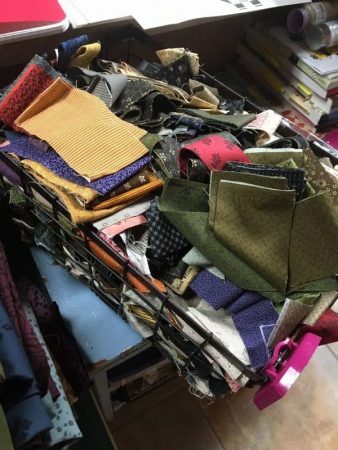 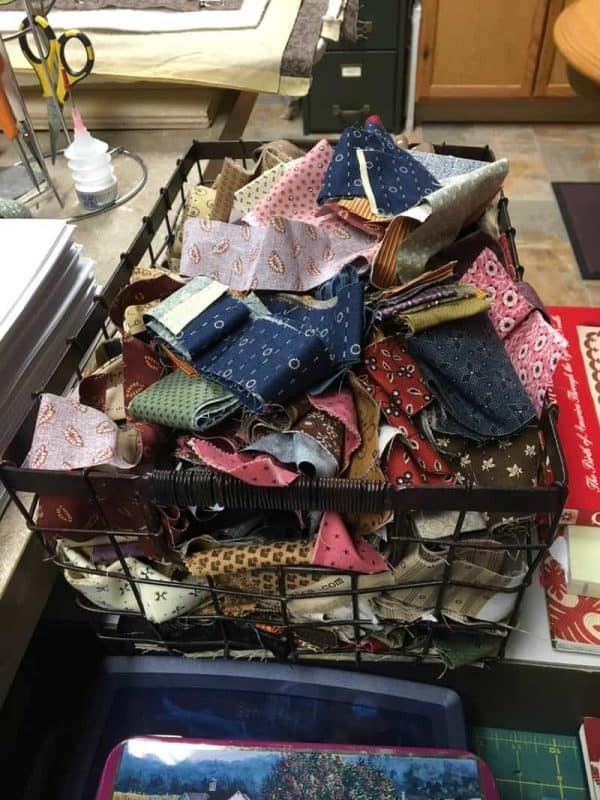 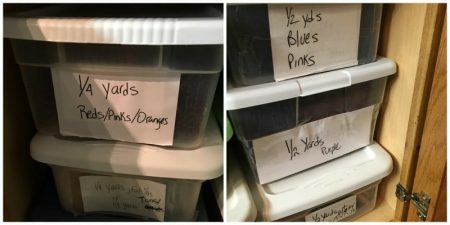 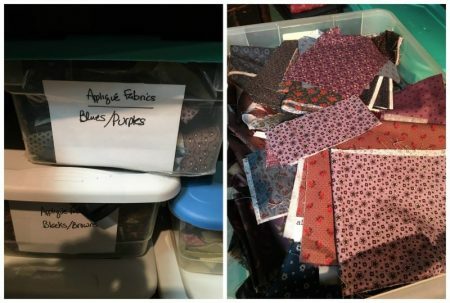 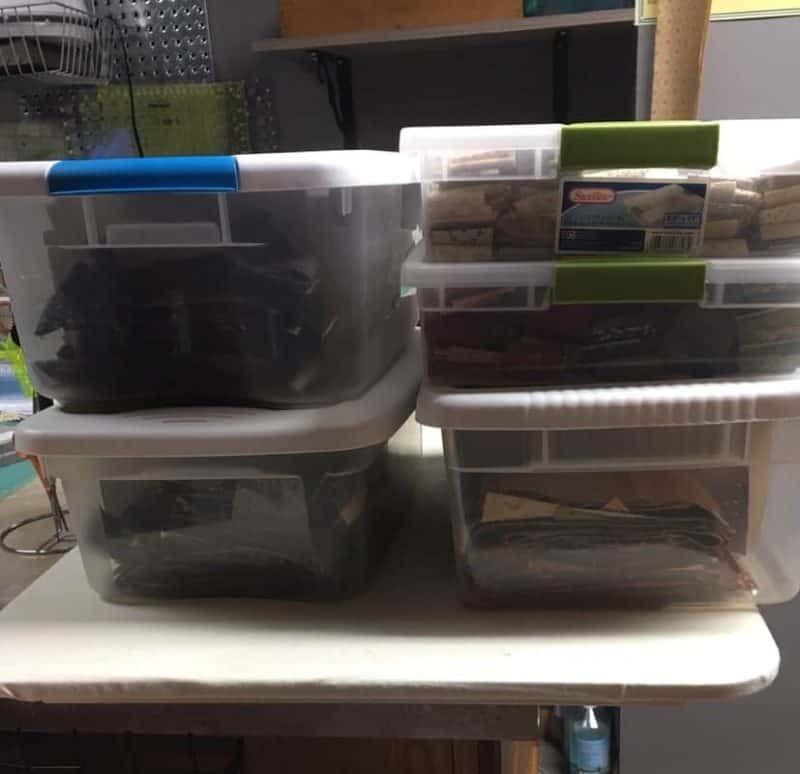 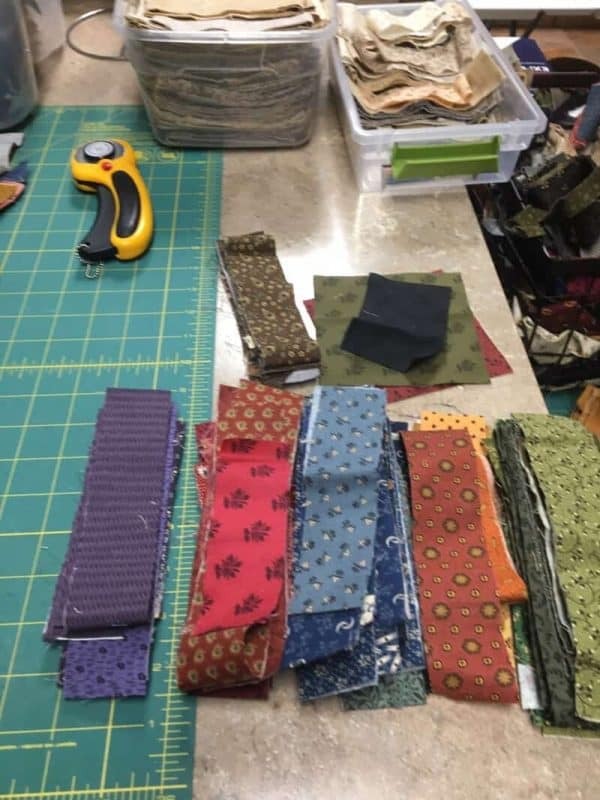 So that’s some of my binding tips and ideas! 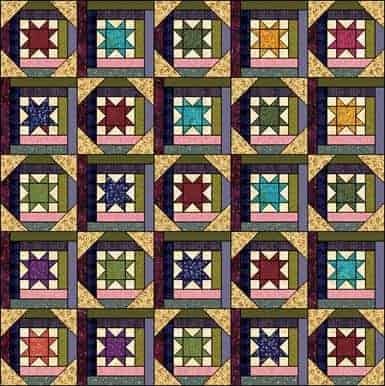 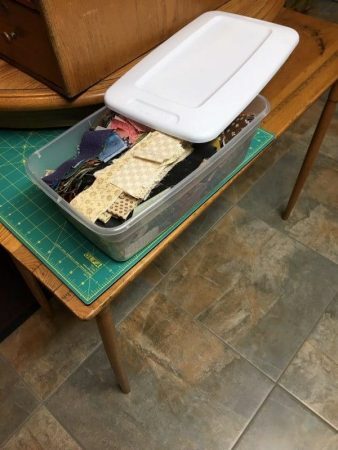 Since I did not have anyone post on my blog last week to enter into the drawing for the free pattern, I am going to extend the chance to enter to this week’s blog. 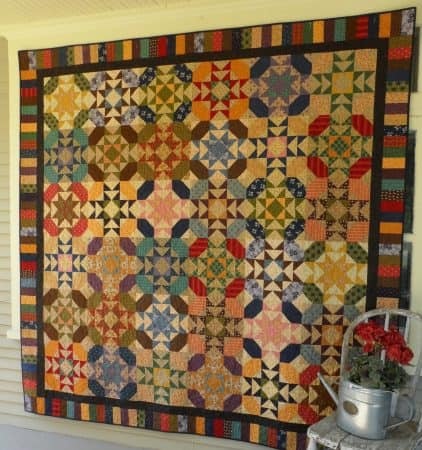 The winner will receive my pattern, Country Dance. 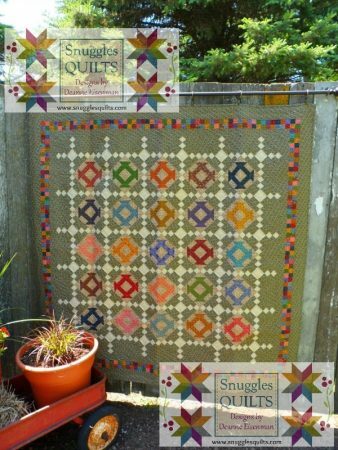 This one also has a fun, scrappy border!